If you are like most Pinoys who have relatives abroad, you likely receive a Balikbayan box full of goodies around the end of this year or the beginning of next year. My family is one of these families, as my sisters in law are based in the US and my mom is also staying in the US for about six months. While we appreciate their generosity, and much of the stuff that they send is indeed good, there is a dark side: this usually means that we get mountains of candies, chocolates, chips, and other junk food and overly processed products that have lost much of their nutritive value. As a father who is into health and wellness, I usually cringe when the balikbayan boxes arrive. Even if you don’t have the same views as I do, you’d probably notice that your children will binge on these newly arrived sweets and often will get sick as a result. Not good at all. I think there’s a better way: ask your relatives to send you alternatives. This is also an opportunity to snag great finds for you and your family, finds that are either not available here or are expensive. 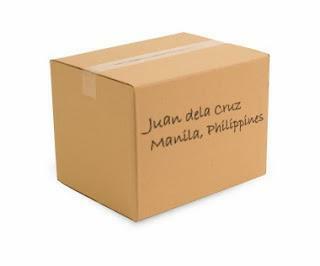 Allow me to help you by listing down six great items that relatives abroad can send through their Balikbayan boxes. Nearly all of these are food-related, as you shall see. Let’s begin. 1.Dried berries. Berries (strawberries, cherries, blueberries, etc.) are among the most nutritious foods on the planet…and they need colder climates to grow. We’re outta luck, unless relatives buy some dried ones and ship them over here. Blueberries, from my research, are the best, but it’s good to have lots of the others, too. Click here to buy organic dried berries. 2.Walnuts (or at the very least, mixed nuts that include walnuts). Walnuts among the most nutritious nuts out there. They are a good source of plant-based omega-3 fats (omega-3 is sorely lacking in our modern diets) and antioxidants. Other healthy nuts include almonds, pecans, and brazil nuts. Unfortunately, the nut that most Filipinos eat and are in huge supply here is the peanut, and it’s not good for you. Click here to buy organic walnuts. 4.Bread maker. Most of the breads sold here only used all-purpose flour which isn’t good for you. Furthermore, I asked a bakery that sells whole wheat bread if they use margarine for making it, and they said yes…margarine is not good for you at all. So, with a lack of health benefiting breads here, it’s best you make it yourself using a bread maker. This is great for us here because we have coconut flour and have it cheap at P35-40 per kilo, I sell it at P30/kg. 5.Contemporary Christian Music (CCM), especially Christian Hip Hop. This is more of a personal preference, as this is my faith and there are a lot of great artists whose music revolves around said faith. Sad thing for me is, I don’t think their albums are distributed here in the Philippines. My kids love CCM, and their favorite musicians include Lecrae, Britt Nicole, Jamie Grace, and Chris August, yet I don’t see their albums in the stores here (I made a nice post featuring music/lyric videos from these artists and more. Take a look here). These guys sound as good as their secular counterparts, yet they give a positive message and are the role models people desperately need. 6.Black Friday deals. Black Friday is the biggest shopping day in the United States, and it is on this day where the best deals of the entire year lie. For sure, many a balikbayan box has been filled with goodies bought from Black Friday, and you definitely should thank the senders for all the effort as they had to brave malls packed to the brim to get you the stuff. This early, your relatives can get a leg-up on everyone else by checking out Amazon’s Black Friday deals by clicking here. I’m sure my list isn’t comprehensive, and I’d love to find out what items you’d like to get through the balikbayan boxes your receive.